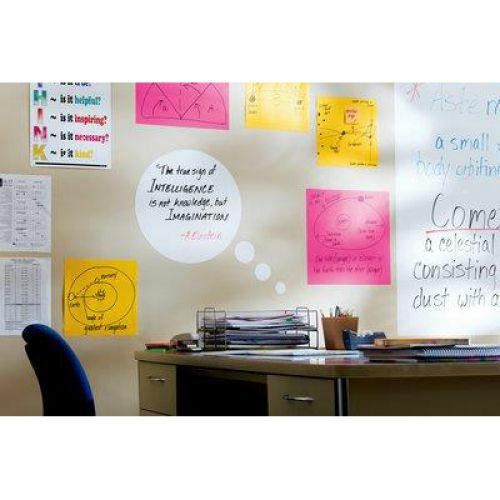 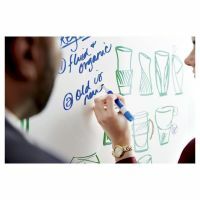 Post-it Super Sticky Dry Erase Film allows you to transform any space into a collaborative space. 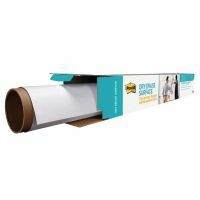 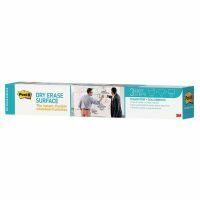 The film is easy to install and requires no tools ® just unroll, peel and stick. Utilising a proprietary dry erase coating, Post-it® Super Sticky Dry Erase Film is stain-proof and erases cleanly every time. 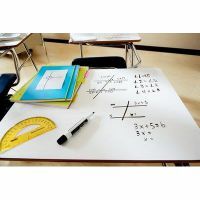 It is designed to stick to a variety of painted drywall and steel surfaces, glass, finished wood, and existing whiteboards or chalkboards. 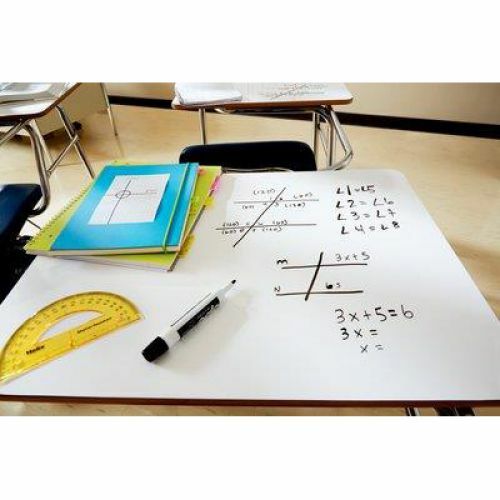 From horizontal applications on desks or tables to vertical applications on surfaces where traditional whiteboards cannot be installed, such as windows, Post-it® Super Sticky Dry Erase Films can be cut-to-fit and provide endless possibilities for dry erase solutions in new places. 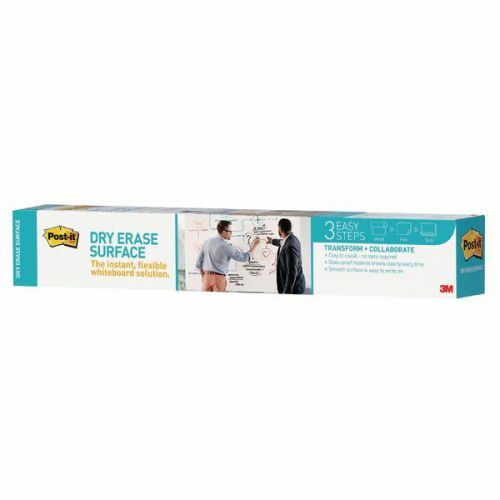 It's even great for replacing old dry erase surfaces that may be ghosted, simply apply over the existing board and it looks new again.